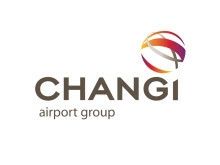 SINGAPORE, 3 March 2015 – Changi Airport Group (CAG) announced today that it has awarded a S$323 million contract to Takenaka Corporation (Takenaka) for works related to the expansion of Changi Airport’s Terminal 1 (T1), following a competitive tender. Takenaka Corporation is an established contractor with a strong track record in the development of airports in Japan, the Middle East, Africa and Asia. The company was involved in several of Changi Airport’s development projects, including the ongoing construction of Terminal 4, as well as the previous upgrading of T1 (2012) and Terminal 2 (2006). The works to be undertaken by Takenaka include the revamp of the T1 Departure Check-in Hall, which involves the replacement of existing check-in counters and the installation of two new check-in rowsto increase passenger handling capacity. A cluster of five retail and dining outlets located at the T1 Departure Hall will discontinue operations in the second quarter of 2015, to allow for the commencement of construction for these check-in rows. 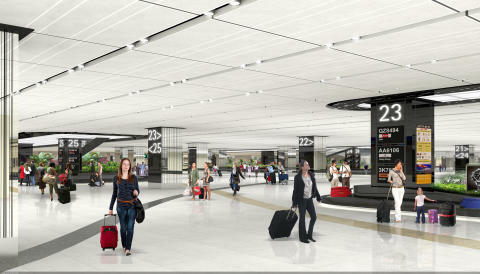 Passengers at T1 will continue to be served by other retail and dining outlets at the terminal. Part of the expansion works in T1 relate to the upgrading of the T1 baggage handling system - from a semi-automated to fully automated system, as in the other terminals. The new baggage handling system will have automatic sortation capability, to better support the implementation of self check-in and self bag-drop functions at T1, as well as early check-in facilities at Jewel Changi Airport. This will improve productivity for airlines and ground handlers, as well as increase check-in capacity. Two additional arrival baggage claim carousels will also be installed, further increasing the terminal’s baggage claim capacity. To support the enhancement of the baggage handling system, certain areas within the apron areas of T1 and the T1 Arrival Immigration Hall will be reconfigured to make space for the new system and its supporting infrastructure. The infrastructural works related to the redevelopment of the baggage handling area will be undertaken by Takenaka, while the upgrading of the baggage handling system will be performed by Vanderlande Industries B.V.
Mr Fong Kok Wai, CAG’s Executive Vice President, Engineering and Development, said, “The expansion works for T1 will take place amid ongoing airport operations, making this project a challenging one. Takenaka Corporation has extensive experience in airport infrastructure projects, having undertaken previous upgrading projects for T1 and T2, as well as the current development of T4. The works at T1 by Takenaka will begin in March 2015, and are expected to be completed in 2019. These will take place alongside other redevelopment works at T1, which are being undertaken separately as part of the development of Jewel Changi Airport. These include the expansion of the floor plate of the T1 Arrival and Baggage Claim Halls, as well as the construction of new ground transport facilities and pedestrian link bridges.